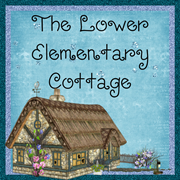 The Lower Elementary Cottage: Guest Blogger! Angelia from Extra Special Teaching! Guest Blogger! Angelia from Extra Special Teaching! While I'm busy camping with my kiddos, Angelia is stepping in for me! I'm OBSESSED with her blog! She's got a great post ready for you today! Hi, everyone! I'm Angelia from Extra Special Teaching. I live in Hawaii, and I teach Kindergarten special education students in a resource room setting. I'm so happy to be guest blogging for Lisa today. 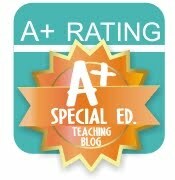 I've been a follower of Lisa's blog forever, and I love reading the great ideas she's using in her classroom. One area that my students have worked really hard on is learning their sight words. Sight word mastery is so important for emerging readers. 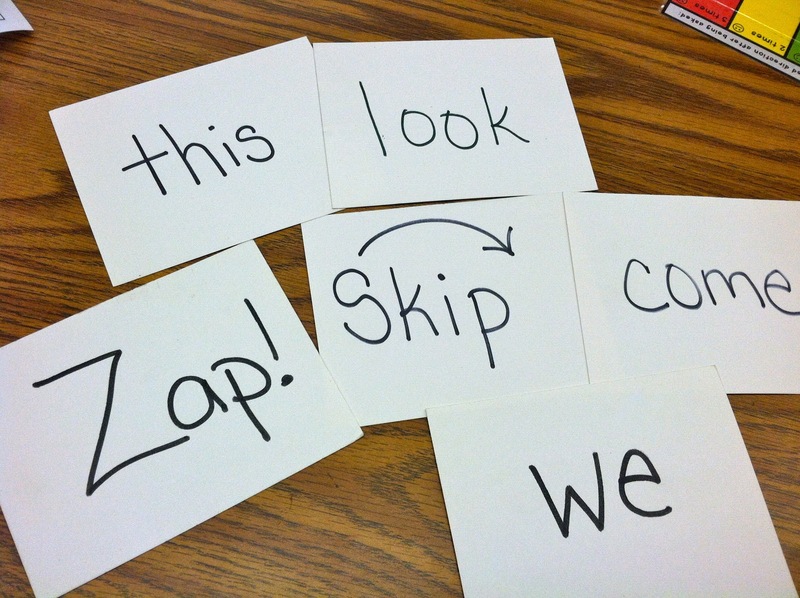 Readers that have a solid foundation of sight words are able to focus their efforts on decoding unknown words instead of stumbling over sight words. 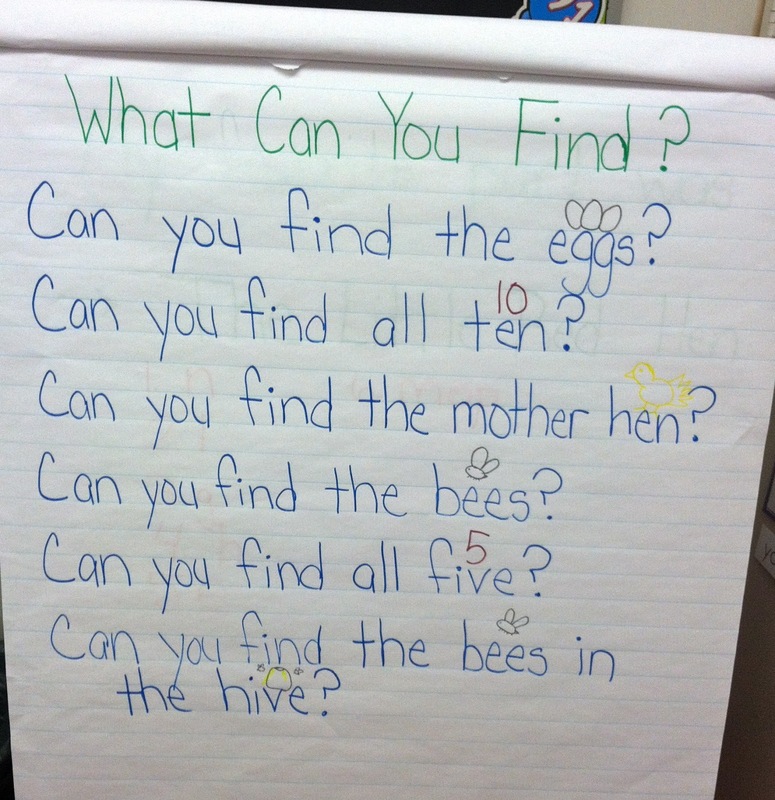 I wanted to share with all of Lisa's readers my classroom's daily sight word practice. Since my students really benefit from explicit, direction instruction with a lot of repetition, we do the same routine every day. 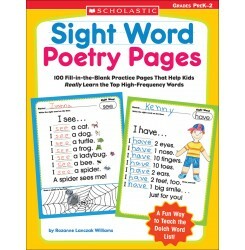 Every week, we do a shared reading of a sight word poem from this Scholastic book. I write the poem on chart paper and try to add drawings to help them remember the words. We read the poem at least 3 times a day. I read the whole poem first, then we echo read the poem, and finally we choral read the poem. On Friday, we complete the poem page found in the Scholastic book. I usually teach 2 - 3 new sight words a week, unless I think the kiddos are still struggling with the previous words. I use these AMAZING SnapWords cards. The front of the card shows a visual for every word. The back of the card gives you a motion and a sentence for each word. Everyday, we go through the cards front side first. We say the word and make the motions. I make the motions along with them to help them, but you will be amazed at how fast they pick up the motions. The motions are the real key, even more than the visuals. We then flip the cards over and do the back side that doesn't show the visual and do the motions as we say the words. Now the cards are a little pricey. The whole set is $133.95, but I think it's totally worth it. This is my 3rd year using the cards. I will say that if you don't have the money for the cards you can still use part of this. When we first moved to Hawaii, it took us over a month to get all of our household goods (and my teaching supplies!). I knew my kids needed to start working on sight words ASAP. I just wrote the words on notecards, and taught them the motions. You could easily make up your own motions. I sometimes deviate from the motions on the cards and do what makes sense to me. For the word on, I just slap the table a few times as I say on. 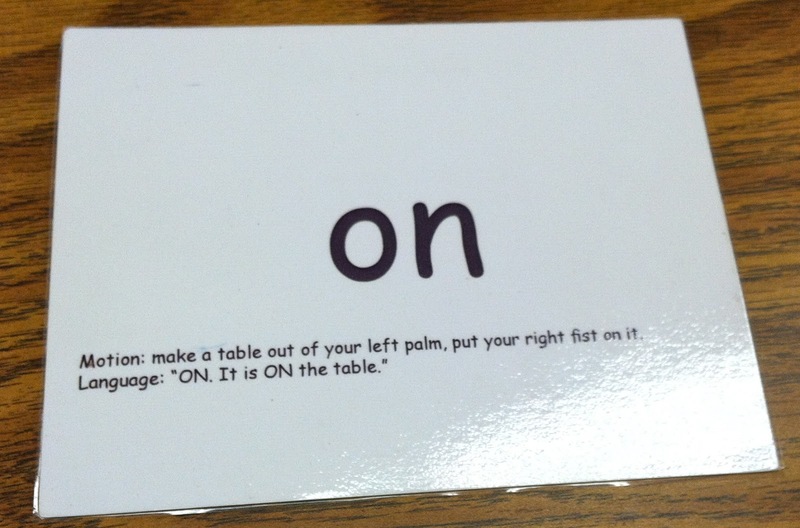 After we go through the sight words, we play my kids favorite game. It's incredibly simple, but they love it. It's called Zap! I set the timer for 2 minutes, and we play. If they get a Zap! card, they have to give me all of their cards back. If the students can't remember the word, I will give them one hint by showing them the motion for the word. If they can't get the word correctly, I won't give them the card. I add new cards as we learn them and take out old cards once I see that they have mastered them. 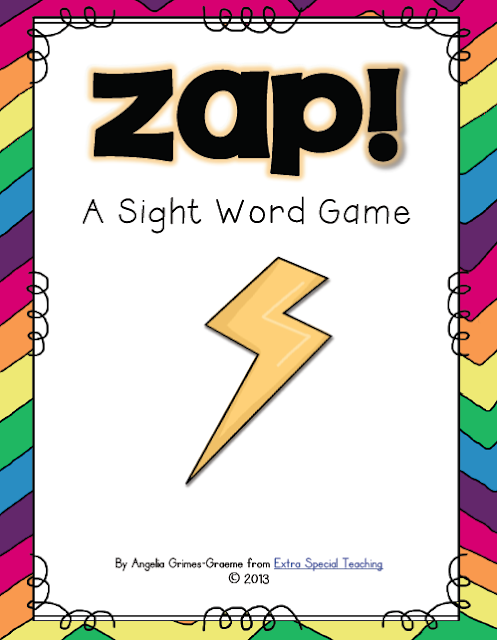 Just for you guys, I have made a freebie Zap! Sight Word game that is cuter than my notecards. Click on the picture below to download your freebie game. I can say that I've seen a lot of success with this sight word routine. When I first started my new job in January, my lowest student could read 3 sight words. Two of those words were 'a' and 'I'. On this past Monday, he knew 28 words!!! Yay!!! He's made so much progress, and I'm so proud of him. Thanks so much to Lisa for letting me guest blog, and I hope to see you stop by my blog.